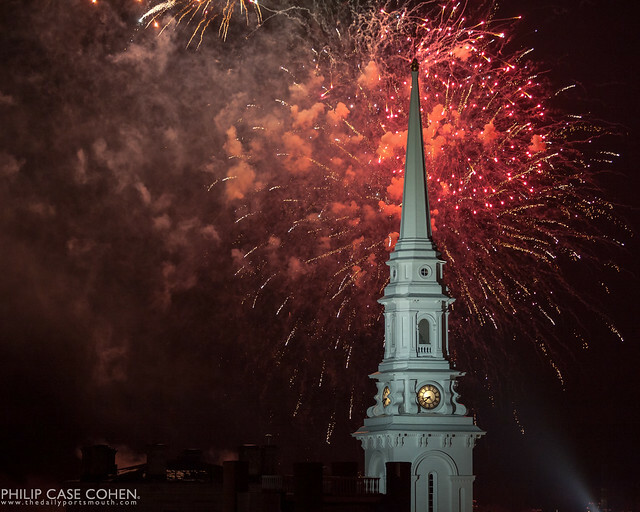 Portsmouth’s First Night celebration was a success despite the cold weather. The ice sculptures and fireworks helped to say goodbye to 2012 and welcome the new year. I’m looking forward to what is to come in 2013 – eager to explore new opportunities, take more photographs, and work hard to solidify new partnerships. A heartfelt thank you goes out to everyone who has continued to watch The Daily Portsmouth and offer their support, feedback, and energy. Hey, happy new year to you and the Mrs! Question: why can’t I find you Pinterest? I’ve founds some of your stuff but they’re pins from others. Nice! Great festive atmosphere here. Happy New Year, man.